Now for the final indignity. If you leave a comment on this blog saying somehing like “Good post” I appreciate the affirmation, no really, but the brevity and disconnectedness of the comment, along with the weirdness of your name makes you sound like some spammy snake-oil marketer of goods or services of which my mother wouldn't fully approve. 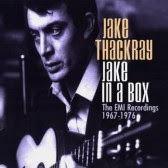 Jake Thackray, love that man. I always identify as the widow of Brid!! Really nice man ,your work and blogs is very nice.Thanks for sharing. Child of God by adoption and grace, husband of Lucy, father of five, jumped-up vicar (Area Bishop of Buckingham). Born Edinburgh. Deacon 1979, Priest 1980, Bishop 2003. Cambridge MA, Oxford DPhil — ‘I am a doctor, but not the kind that helps people.’ I trained for ordained ministry at Wycliffe Hall. I have worked in various C of E contexts, urban and suburban, as well as in prison. Windows on the world (443) - London, 2019 ------------------------------------------------------------------------------- Pēteris Vasks - *The Fruit of Silence*. Kids these days: they see everything. - Share: The post Kids these days: they see everything. appeared first on Indexed. Of ordinations and consecrations - We ordain bishops. It's time to let die our old habit of referring to the "consecration of bishops." Our baptismal ecclesiology demands it. In praise of real journalism and Apple News+ - Here’s hoping that this helps real journalists find a way to make a living doing what we need them to do. Protected: CAPS Conference 2019 - There is no excerpt because this is a protected post. A thought in the midst of Brexit - Another Thought for the Day in the Brexit turmoil. Reborn! Our Website - ConfessingEvangelical is back from the digital grave. New website coming soon, and we don’t mean a permanent under construction sign. Something rather mischievous - A message from Stephen Fry The post Something rather mischievous appeared first on Official site of Stephen Fry. It’s not what you do it’s why you do it! - The post It’s not what you do it’s why you do it! appeared first on Russell Davis. Preaching in Challenging Times - My friend Bryan Berghoef models wise and courageous preaching in these difficult times ... Check out last Sunday's sermon here, in Holland, MI. Testing - Trying out a new app! 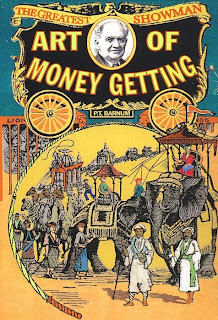 Testing Again - Google Plus integrated through blogger. But will it work from here? - We have moved! You will now find our blog in the 3D Website www.3dcoaching.com See you there! Homily for World Priest Day - You can find it over here. It's a re-post of my talk from 2008. Wardman Wire Magazine UK Edition: Who made that great whooshing noise …?